Lemon Ice cannabis seeds by Amsterdam Genetics have an extremely short flowering time and offer one of the most creative uplifting highs you can find. Due to the way in which this wonderful strain has been cross bred. It has retained the truly unmistakable sweet, citrus taste of the Lemon Haze. Whilst the lesser known Ice gives this strain a surprising and delightfully friendly uplifting effect. This fresh strain can be enjoyed both during the day and in the evening. Whenever this strain is provided with enough space and light one can expect to be rewarded with an exceptionally high yield. 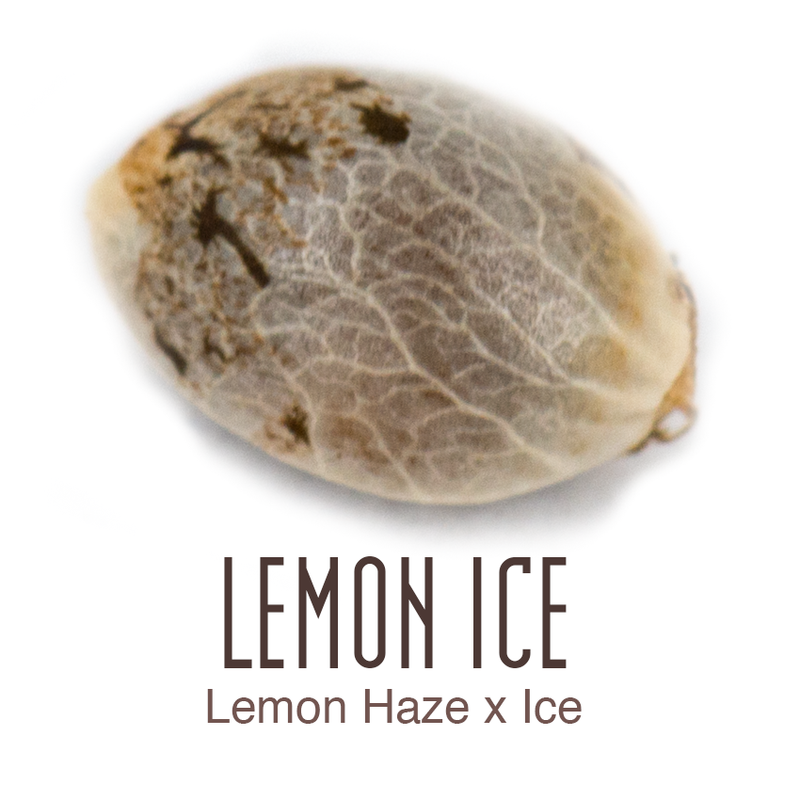 The Lemon Ice cannabis seed has a 7 to 8 week flowering time. Depending on conditions, growers can expect their plants to reach 1.20-1.50 meters producing a 400-500 g/m² indoors. When grown outside expect heights to reach between 2-3 meters with a 400-500g per plant yield.